Your Town want to get local people more engaged with their town and make them proud of where they live. To achieve this, Your Town with the support, belief & passion of others aim to be a catalyst bringing people together in town, in person, to connect with one another and strengthen communities. After visiting Banbury OX16 & meeting Ben (energie fitness) & Tim (Visit Banbury) we found they share our vision & a hunger to bring what we do to the town they love. We are honoured that they will be the proud owners of a YT franchise that will grow and bring great value to the Banbury community. 100% of entry fee goes to local cause / project. CAN WE GET YOU ‘ON BOARD’? Funds are required to support, develop and sustain the core costs required to run the Banbury Playbus Project. Living in a rural isolated village, or on a military base does not prevent families from wanting/needing local and accessible activities or mean that they don’t have a right to high quality play provision; yet, hundreds of children in Oxfordshire are unable to access positive pursuits locally. According to the Child Well-Being index, Cherwell area (where we work) is ranked 140 out of 354 Local Authorities in England; Cherwell is also ranked very poorly on a national measure of geographical accessibility of services (index of deprivation) – 23 areas (25%) are ranked in the worst 10% nationally, and of these, 16 are ranked in the worst 5%. Additionally, issues such as families living in challenging circumstances, experiencing deprivation, mental health issues and domestic violence compounds families sense of isolation. Parents tell us they want their children to have something to do, something to look forward to, and importantly, activities that improve their children’s’ self-esteem and confidence, set within their own community. 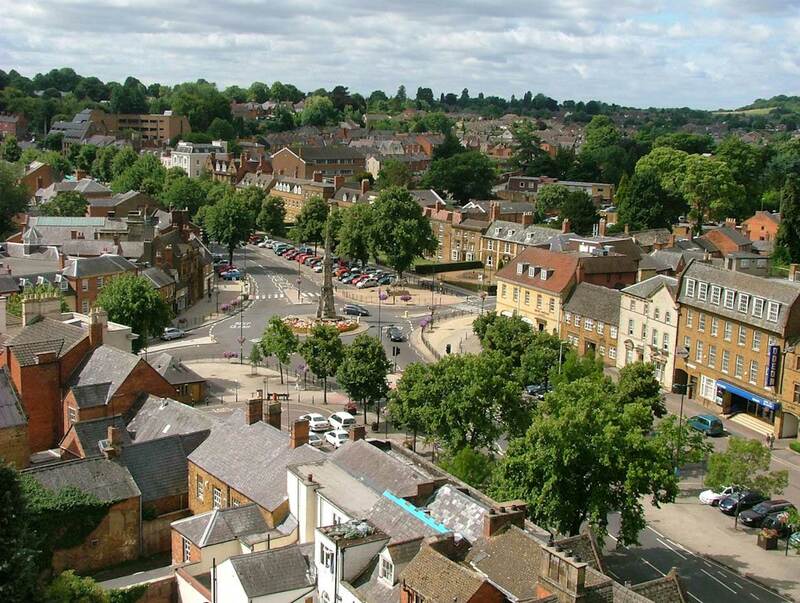 Banbury stands at the junction of two ancient roads: Salt Way (used as a bridle path to the west and south of the town), its primary use being transport of salt; and Banbury Lane, which began near Northampton and is closely followed by the modern 22-mile-long road. It continued through what is now Banbury’s High Street and towards the Fosse Way at Stow-on-the-Wold. Banbury’s medieval prosperity was based on wool.